In an interview with Israeli broadcaster KAN, John Lundvik who will be representing Sweden at the upcoming Eurovision Song Contest 2019 has revealed that there will be changes made to his performance when it comes to the competition. These changes compare to his winning performance of his entry “Too Late For Love” in the Swedish selection show Melodifestivalen last month. This news comes out as John Lundvik is currently in the host city Tel Aviv to film his postcard for the contest. The postcard has been filmed at the port in Tel Aviv and has involved roller skating which the singer admits to have made him nervous. Sweden will be performing 8th in the first half of the second semi final on Thursday the 16th of May. Coincidentally, John is also a credited songwriter for the entry “Bigger Than Us” by Michael Rice, representing the United Kingdom at the contest. John Lundvik made his first Melodifestivalen appearance in 2013 as an off stage vocalist for Anton Ewald. The following year John decided to submit the song “Natural” in to the competition, however at the time it was decided that Anton Ewald would again perform the song. 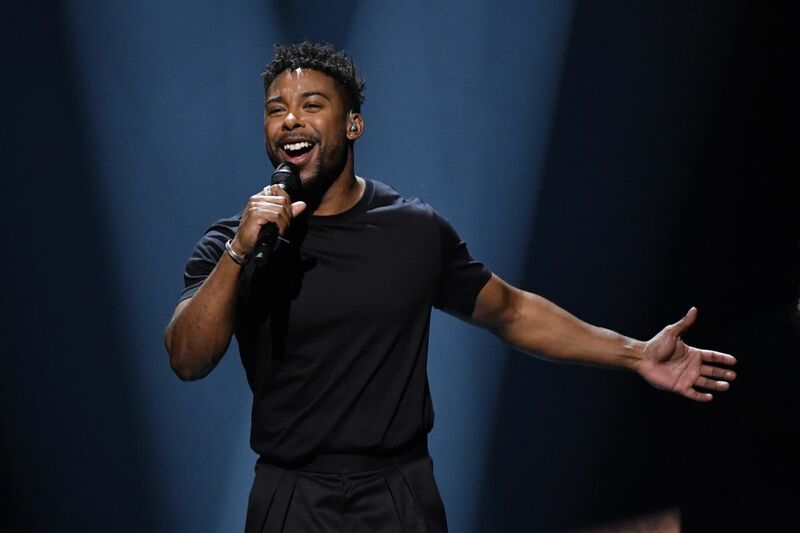 John Lundvik will represent Sweden with the song “Too Late For Love”. He topped both the jury voting and the public vote. In the final of Melodifestivalen 2019 he managed to score 12 points from all of the international juries, a feat that hadn’t been achieved before.